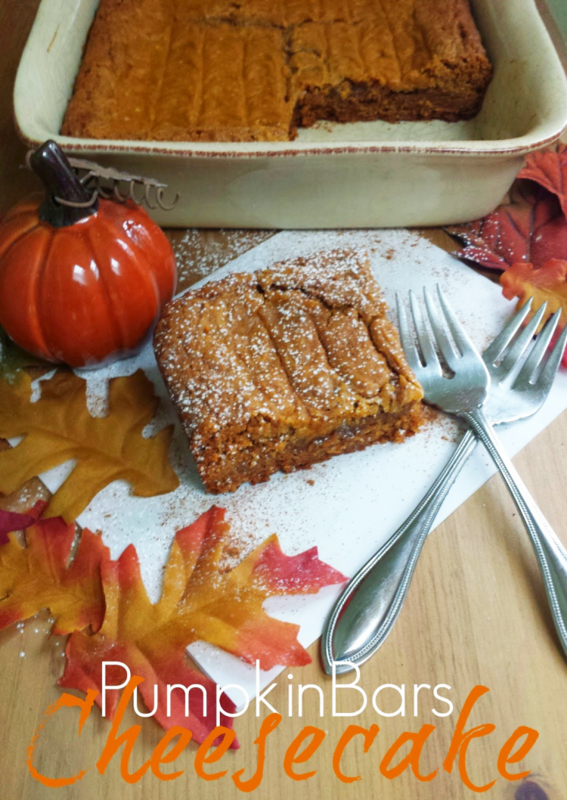 I am branching out this year and getting creative in the kitchen with my pumpkin recipes! 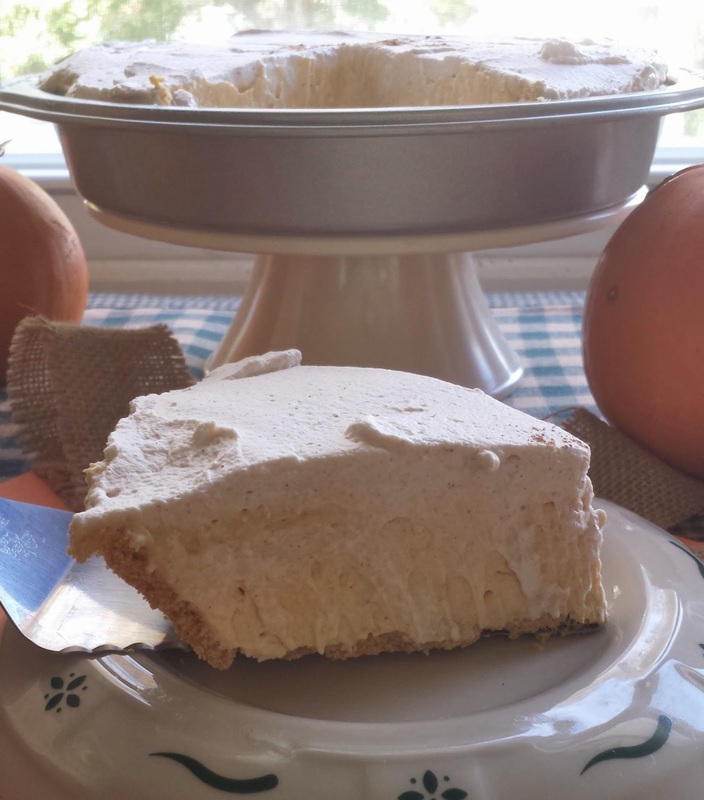 This thick, creamy no bake pumpkin cheesecake recipe makes an amazing sweet ending! It’s the perfect dessert to bring to a friend, serve to company, or linger over a slice with your family. 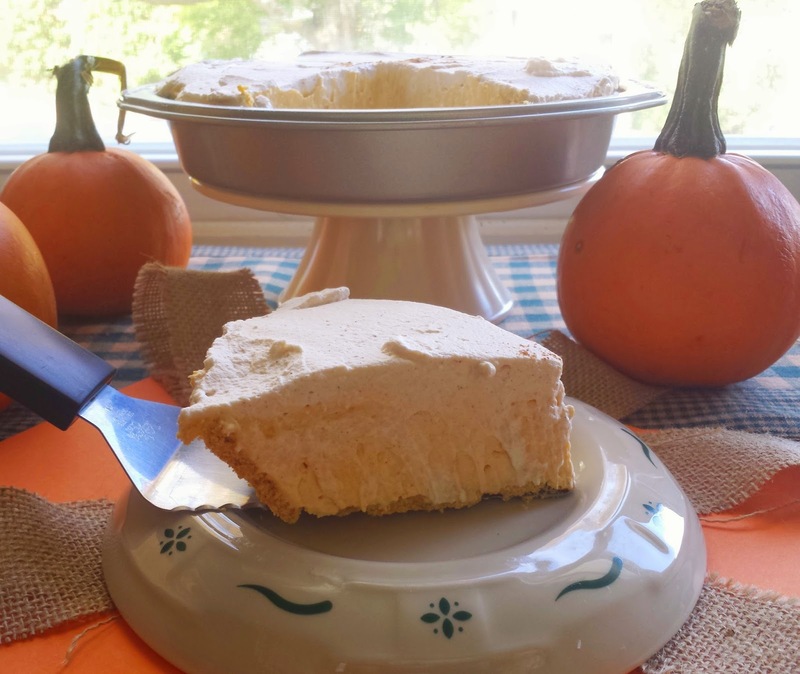 Whatever the case may be, this no bake pumpkin cheesecake with it’s graham cracker crust, smooth pumpkin cheesecake filling, and sweetly topped with fresh pumpkin spice whipped cream makes this one award winning dessert. In a large bowl whip together the cream cheese, pumpkin, 1/2 cup sugar and 1/2 teaspoon pumpkin pie spice. In a medium bowl whip together 1 cup of heavy cream and 2 Tablespoons of granulated sugar until cream has become very thick whipped cream. Fold in the whipped cream into the pumpkin cheesecake. Spread evenly on the bottom of the graham cracker crust. 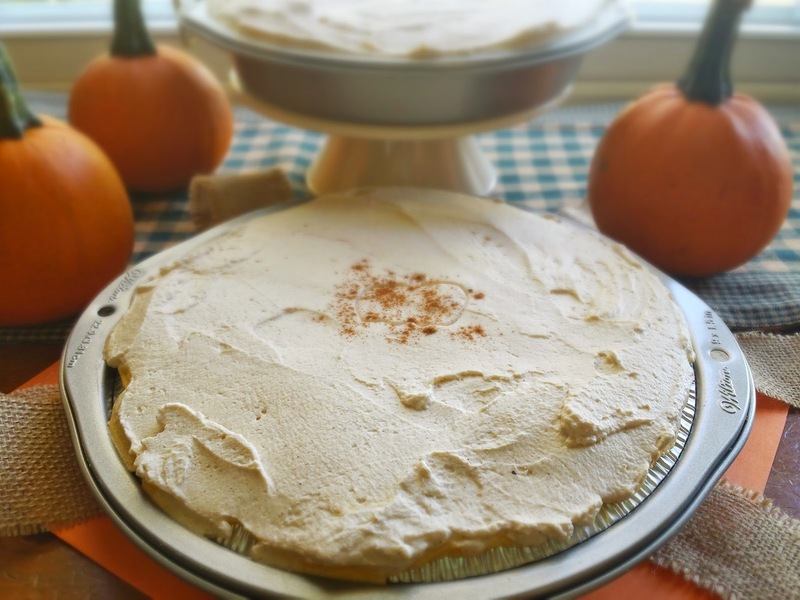 Whip together the 1/2 cup heavy cream, 1 Tablespoon granulated sugar, and 1/4 teaspoon pumpkin pie spice. Whip until it becomes very thick whipped cream. Spread evenly over top of pumpkin cheesecake. 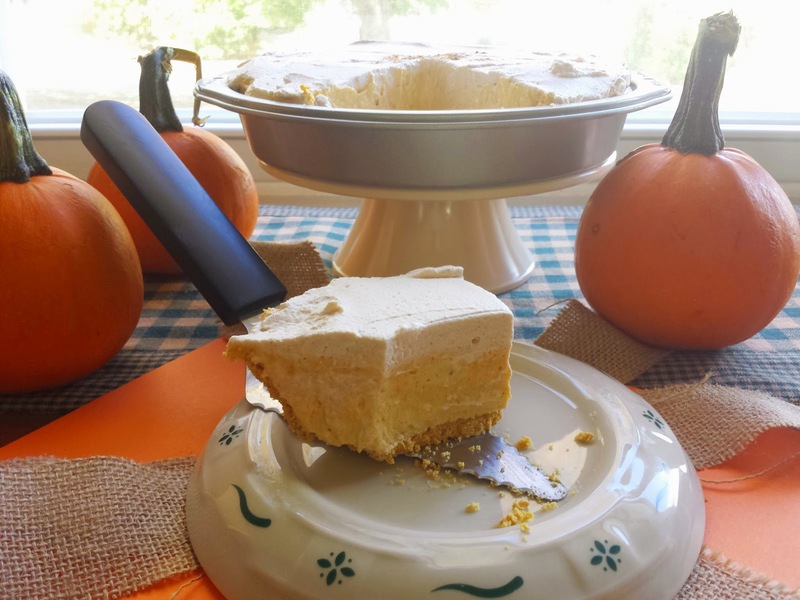 The filling will be well over the top of the crust, but it’s worth it after you refrigerate for 3 hours and then savor that first creamy pumpkin bite! Hi, I am Cathy! I am the blog author of three kids and a fish where we share everything our family does to take time to make memories. We feature everything from our cooking creations, DIY projects, family fun, and our life lessons.